The name Highfield originates from the Walsh family, who hailed from Ireland. They purchased their 365-acre Marlborough farm in 1935 and named it Highfield after an area near Galway Bay in their homeland. On Highfield farm the Walsh family grew crops, grazed stock and bred horses, eventually handing over the reins to their son Bill and his wife Barbara. Bill was of an entrepreneurial nature, always ready to consider a new venture, and in the mid ‘70’s when he heard that a major New Zealand wine company was considering planting grapes in Marlborough he decided to try his hand. Bill’s first planting was 2 ½ acres of Muller Thurgau, a medium sweet German grape variety that produced wine meant for drinking young. Before long Highfield’s plantings increased. Quite by accident, Bill and another local grape grower discovered some “rogue” grapes amongst the Muller Thurgau vines in the vineyard. Unsure as to just exactly what these infiltrators were, they took cuttings. The plants that subsequently grew proved to be none other than Sauvignon Blanc. The quality of the wine produced from these grapes encouraged the Walsh family to make and market wine under their own label. 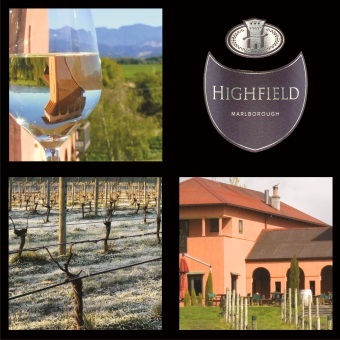 In 1990 the long-awaited opening of the Highfield winery took place and things took off. Soon after though, Bill decided to pursue a quieter life and began to look for a safe pair of hands to pass the winery on to. He ended up finding two pairs of hands in a Japanese fire fighting industrialist, Shin Yokoi and a Bristol business man, Tom Tenuwera. A wine aficionado, Tom had always been entranced by the spectacular beauty of New Zealand and the warmth of its people. It was a sentiment shared by his old friend Shin, along with a particular interest in the ‘Champagne Trinity” of Pinot Noir, Pinot Meunier and Chardonnay. In 1991 Shin and Tom signed a purchase agreement for Highfield. He traditionally makes a small and focused range of wines: Elstree Cuvée Brut, Pinot Noir, Chardonnay, Sauvignon Blanc and Riesling. 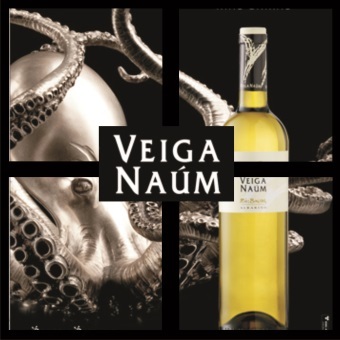 In association with Bodegas Riojanas in Rioja, Veiga Naum is a family winery founded in 2004, owned by Mª Victoria Dovalo Méndez, located in the heart of the Salnes Valley, The winery has a production capacity of 40,000 kg. of grape. The tanks are made of stainless steel, with cooling jackets for temperature control. Currently the winery makes 23,000 litres of Albariño. 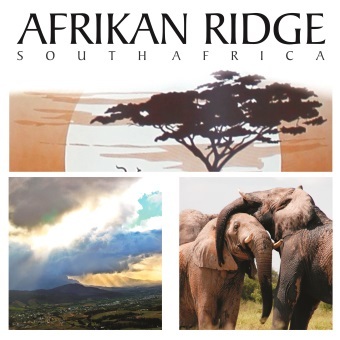 Afrikan Ridge is an in-house brand of EWGA and is produced in South Africa at Darling Cellars which is situated on the cool west coast of South Africa between Malmesbury and Darling. The Darling area is historically a dairy area and grape growing has come to the fore in only the last 10-15 years. Renowned for its wild flowers, it is one of the Western Cape’s most diverse areas. The cellar has been around since 1948 and since it's inception the plant has now developed into a modern, automated bottling line with packaged wines suited to every market's needs. 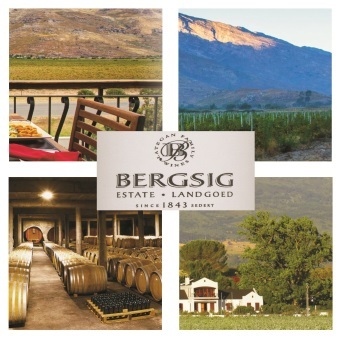 Bergsig Estate is situated in the Breedkloof area of Breede River Valley in South Africa, about 110 km from Cape Town. This is where the Drakenstein and Hex River Mountains meet, creating such scenic surroundings that the farm was named “Bergsig”, meaning “mountain view”. The Lategan Family’s roots in the South African winelands began in 1735 when Johann Hermann Lategan settled in the Wamakers Valley near the current Bergsig Estate. In 1843 Willem Hendrik Lategan moved to Bergsig. Seven generations later, the proud tradition continues. Bergsig has been in the family for more than 170 years. The Bergsig ethos is, “future generations are the inheritors of this estate and therefore sustainable farming methods are priority.” The motto that “wine that doesn’t cost the earth” resounds within the family. Being an Estate, all the wines are “grown, made and bottled” on the property. The company combines modern equipment with a natural approach to wine making. The aim is to capture the unique terroir of the estate in wines that are complex though elegant. 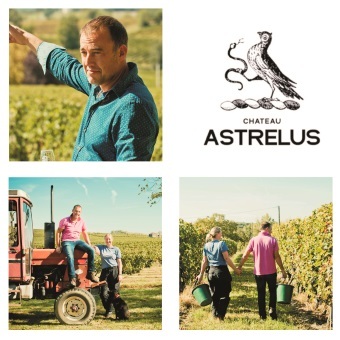 Chateau Astrelus began quite unexpectedly. This is their story.. "We moved to France in 2008 and started a family. We had been living in the Middle Eastern desert for a number of years and were looking forward to starting a new adventure in the lush green counrtyside of France. Our search for a dream home, brought us to Cazaugitat: where we found a beautiful stone house surrounded by tranquil vineyards in the land between the Dordogne and Garonne rivers. When we were told that the house came with 7 hectares of impeccably kept Bordeaux Superieur producing vines, we were shocked as we had no idea about vineyards or making wine. Fortunately the previous owner offered to look after them for us. After several seasons of watching the vineyard be worked, wine glass in hand, from the vantage point of the sunny garden, we started to wonder… if maybe we could do it ourselves, maybe we could look after the vines, pick the grapes and make our own wine. So at the beginning of 2014, with the help of some very talented and experienced people, our journey into winemaking began". Utiel Requena is a Spanish Denominación de Origen (DO) for wines located in the province of Valencia (Valencian Community). It takes its name from the two neighbouring towns of Utiel and Requena. 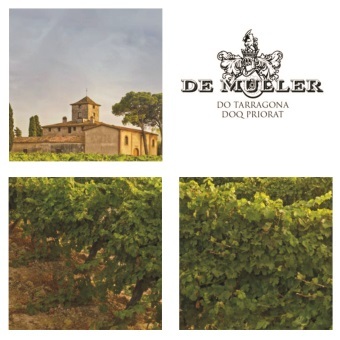 It is renowned for the predominant use of the Bobal grape variety. The Coviñas group started its operations in Requena in 1965, when the most important “bodegas” in the area joined forces to create a distillery. In 1967, a neighbouring winery was acquired and the Vino de la Reina was produced; this was the first bottled quality wine from the area that is now officially designated “Utiel-Requena”. 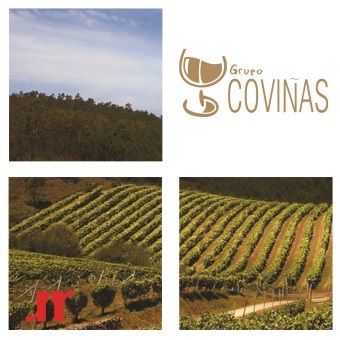 In 2007, the Ministry of Agriculture, Fisheries and Food awarded Coviñas the top prize for Food Quality” in recognition of its business activity and work on improving quality. Bodegas Valduero was founded in 1984 by the current president, Don Gregorio Garcia Viadero and his daughter Yolanda, who is the winemaker. It was one of the first wineries to be incorporated into the D.O. Ribera del Duero and is situated in the village of Gumiel de Mercado, an area where some of the best grapes in Ribera del Duero are grown. The winery is also probably the highest winery in the region at 840m (2.750ft). The red wines at Valduero are all 100% Tinto Fino and vineyard age ranges from 12 to over 40 years old. The vines are very low yielding on mainly clay soils, with limestone and some sandy patches. Traditional cultivation techniques and only natural organic fertilizer are used. The vines are not irrigated and all the grapes are harvested by hand in small crates. The winery is buried underground which keeps a constant temperature, perfect for ageing and helps to create unique and complex aromas. A combination of 225 litre oak barrels made from American, French and East European oak are used. These are replaced every four years. 15 years ago Valduero acquired vines in D.O. Toro and started to make wine in this region too, focusing on a younger, more fruit driven style of wine that we felt best expressed the region. The Toro wines are also all 100% Tinta de Toro. 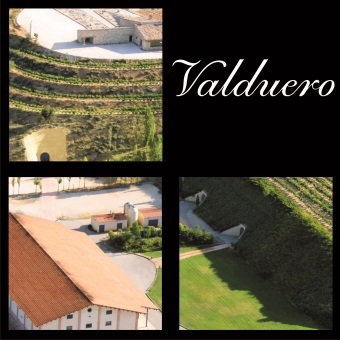 The wines from Valduero regularly win awards and are highly rated by Robert Parker. 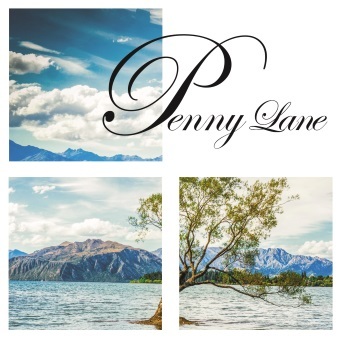 The Wine Portfolio is a collection of distinctive New Zealand wine brands. The journey of The Wine Portfolio started in 1995 when John M Coney, purchased the Morton Estate after he tasted the 1994 Black Label Pinot Noir from the Riverview vineyard. That Pinot was a sign for John of the potential in the company. His vision for the winery was for consistency to become a hallmark of the enterprise. Under the umbrella of “The Wine Portfolio” the new team set about developing vineyards, investing in winemaking facilities and building a set of new brands around Morton Estate. In 1996 a new crush plant was built at Riverview and the headquarters of the business was moved into a beautifully renovated historic building in Auckland. The Wine Portfolio team is an innovative bunch, so it’s worth keep in touch, as there’s always more coming down the pipeline. Masseria Borgo dei Trulli is the estate that has been recently acquired in PUGLIA. It is in the central part of the Salento region, close to the Salice Salentino DOP area, and a site where many Trulli were once sited. Trullo are the traditional houses of the farm workers dating back to the Middle Ages. Part of the estate has a Alberello Pugliese (free standing bush training), planted around 1960, and where the top Primitivo is produced. 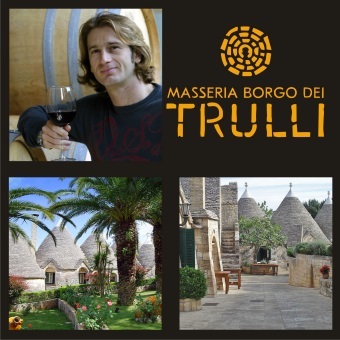 The wines of MASSERIA BORGO DEI TRULLI have been made by Alessandro Michelon. The Clos Montblanc winery is located in Barbera de la Conca, very close to two symbolic locations in the history of Catalonia, the fortified town of Montblanc and the Monastery of Poblet. It is an area steeped in history and tradition. Here the Cistercian monks settled, nearly a thousand years ago, with their firm goal of finding the way to perfection. Their ethos survives in the hearts of the local people today a nd can be clearly seen in the way in which they go about their daily work. From a geological point of view, it is an area with a rich, well-balanced soil which is grey and limey, full of variations, and has the optimum natural qualities for viniculture. The essence of the Clos Mont Blanc cellar is a pride in the land to which it belongs and a working system based on a thousand-year-old tradition. 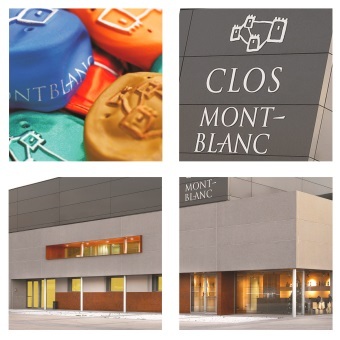 Clos Mont-Blanc creates wines which have a unique character and a nature and sensitivity of their very own. Clos Mont-Blanc wines obtain their character from indigenous varieties such as Tempranillo or Grenache, together with foreign grapes such as Merlot, Cabernet Sauvignon or Syrah, in a symbiosis of character and added personality. The white wines blend traditional Macabeo from Spain with Chardonnay and Sauvignon Blanc, ensuring the mix is exactly the right balance. In the early 1950s, Juan arrived from Andalucia to farm grapevines. To him work is always more important than recognition and soil marks the rhythm of farm work. In 2004, his sons decided to build a winery to produce high quality wines with great fascination for innovation. In April that same year, they founded Las Perdices in the heart of their vineyard in Agrelo where they grew up and learned how to make wine. The winery holds a capacity of 1,200,000 litres in stainless steal tanks of various capacities in order to optimize prosesses and better distribute their finest products.